It’s here! On the launch pad – our first CELTA online course – and we are already accepting applications from our first cohort of trainees who will begin their course on April 24. Is the CELTA really fully done online? The CELTA Online is not really and truly a fully online course; it is a blended learning programme but as Cambridge Assessment started it with this name, the ‘online’ title has stayed with us and prevailed although many candidates around the world do not realise that their physical presence for the Teaching Practice Component of the course is a requirement. On this first course, we will be concentrating the Teaching in a stretch of two weeks in Athens, but it is also possible to organise this over a number of weeks, more like our part time courses. This is something we will consider for a fall or winter course later. complete and check a variety of tasks. The workload is very reasonable – depending on how quickly you can work and assimilate information, an average of 3-6 hours of work per week is expected. Two weeks in Athens in the second half of June are what is required for this particular first configuration. During these two weeks you will be teaching and observing colleagues teach every day! Your tutors will be there to support your planning efforts and to guide you as well as give you feedback and direction on your next steps from being good to becoming a great teacher! At the end of the two weeks, an external Cambridge CELTA assessor will review your progress, observe you in class and confer with your tutors about your development. Four more weeks and it’s over! During the last four weeks of the course, the leaning mode goes back to the online platform and you will be logging in for more input sessions and writing and submitting your written assignments, (four written assignments during the whole course). In future, there will be other timetable configurations that we will be offering, so do please keep in touch with us if interested in this new way of following this great course. to learn more about the level and scope of the course, as well as view the Cambridge Syllabus. to find out how this blended programme works and if it fits in with your work or life commitments. to check other course options and whether you might be able to follow the course face-to-face, if you prefer learning this way. 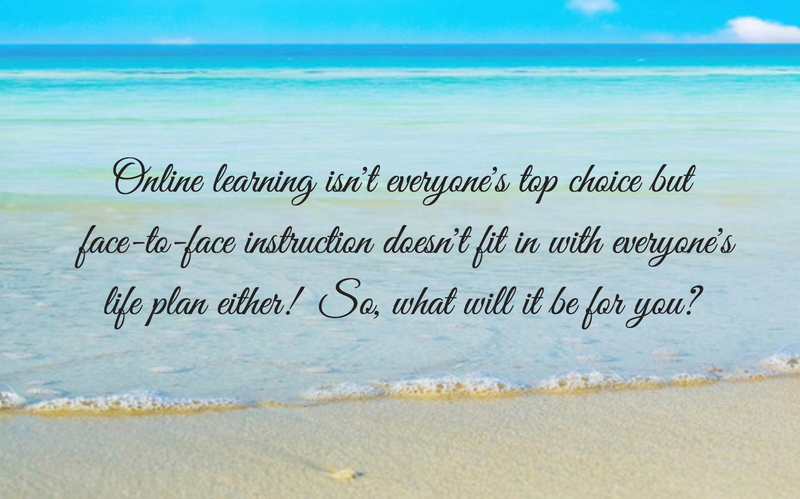 For more detail, do please send us an email ( info@celt.edu.gr ) and we will be most pleased to help you make the right choice – online learning is not the best choice for everyone but, at the same time, face-to-face instruction does not fit in with everyone’s life plan!!! Is this the right course option for you? Or should you do a face-to-face course? Think, but do also talk to our tutors who have experience with different modes of learning and can help you make the right decision. N.B. The CELTA Certificate obtained via an online course does not indicate that this was an ‘online’ course and looks exactly the same as the contact course Certificate.